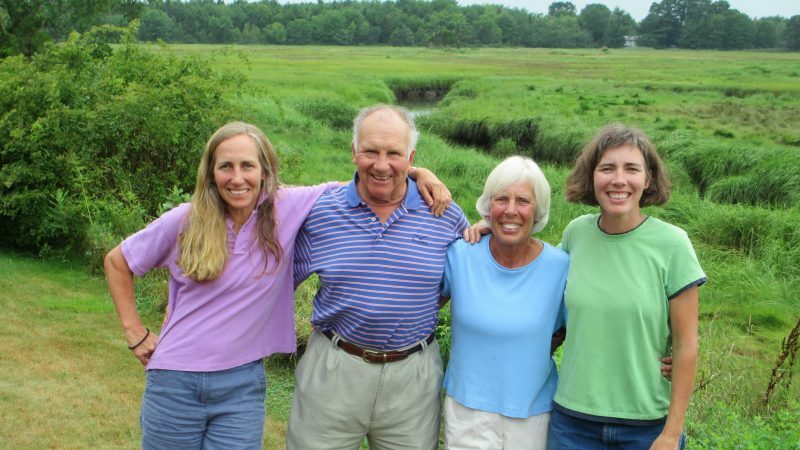 Charlie McKee—long-time trustee and double SFS parent—along with his wife, Nina, established the McKee Scholarship in appreciation for the formative experiences of their daughters, Nina (left) (Alaska Summer ’84) and Heidi (right) (Virgin Islands Spring ’87). Nina now has her own accounting firm in Washington, West Virginia, and Heidi is a Professor of English at Miami University in Ohio. Charlie passed away in 2014, but we are honored to continue his legacy supporting students through this scholarship, given to students who demonstrate financial need and might otherwise not be able to attend an SFS program. To join the McKee family in building The McKee Scholarship, you can Donate Here. In order to accurately designate your gift, please choose “The McKee Scholarship” from the drop down menu. Please indicate on the check that the gift is designated for The McKee Scholarship.